Import Function Helps to Consolidate Outlook Files ! Data simplify our life in many aspects, even due to its some denominator qualities you can manage the data by transforming it from one platform to another. 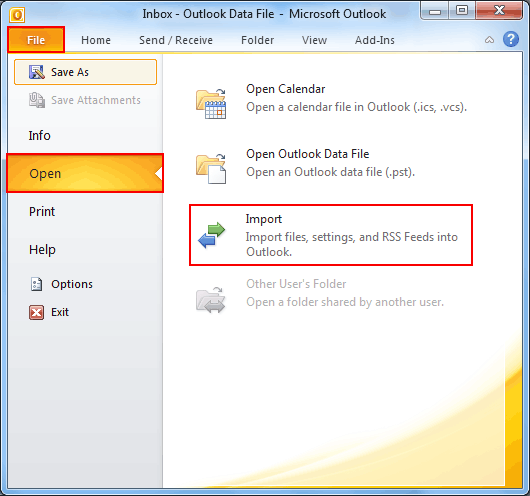 Microsoft Outlook also embodies with such features or function through which moving of Outlook Data is possible. 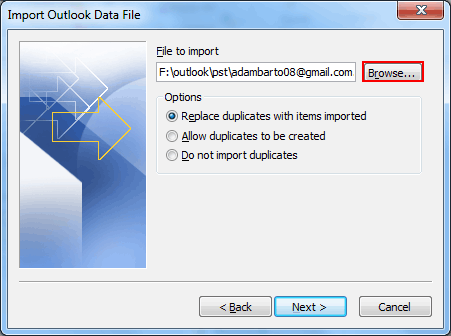 Import in Outlook is one of them, that helps to move the data items of an older PST file to the new one or already configured Outlook Data File. 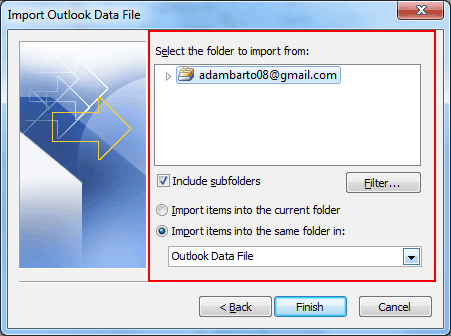 What Data Can be Consolidated Using Import Feature in Microsoft Outlook? Does the Import feature only works on the specific PST's items? How much amount of Data (here, I'm talking about Outlook Data File size) can be Imported using this feature? 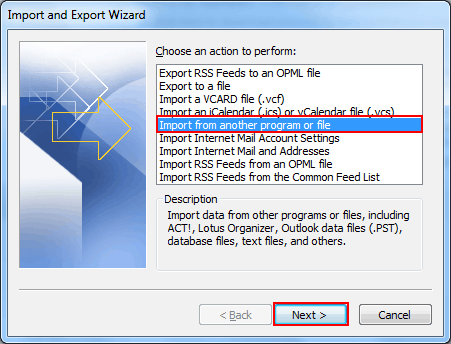 Let me clarify you that Import feature in Outlook is a non-biased method to import the database from the external PST files and semantic sources (like; CSV by which you can import the former Outlook contacts or contacts which you have saved in an excel formatted module). Indeed, this feature does not clog the Outlook users to perform importing in a proactive manner. However, some errors could be manifested while performing the import function on an ANSI PST file. Likewise, there is no any file size limitation of Outlook PST file to perform import's execution. A user can import any size of PST file whether he/she is going to import a 20 GB PST file or 2 GB PST file. Note: If more than default limit of Microsoft Outlook data is stores in PST file than it become vulnerable to corruption. Practically, every Outlook's version is bit different and specialized with some privilege in comparison to each other. This creates much complication about their functionality and does not provide an explicit view. Reaching out to the "Import & Export" function in Microsoft Outlook and executing it is a kind of complicated task about which I have already discussed in the last paragraph. Step1.) 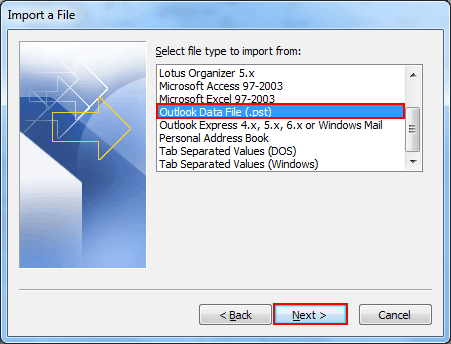 For Outlook 2007: Click on "File" menu and then make a click on "Import & Export" option. Step2.) Now, you can see a pop up window screen which is known as Import & Export feature. Choose the "Import and another program or file" and move upon next step by clicking on "Next" button. Step3.) Choose the selected file format to import in Outlook, (Here, I am going to pick the PST file to import). Step4.) 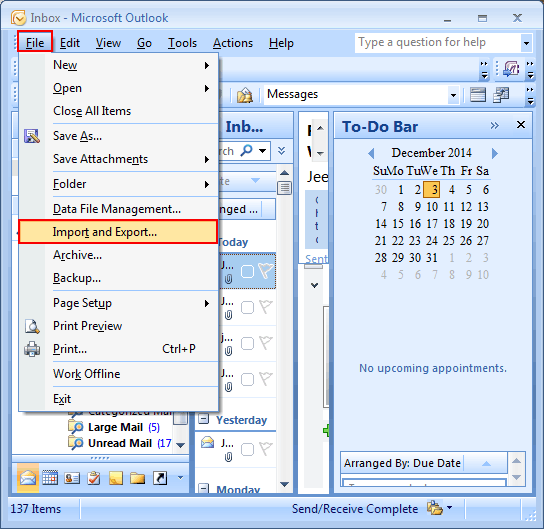 This step is about browsing the Outlook PST file, so use the Browse button and insert the data file. Step5.) Operate and maintain the data file which is going to be imported, choose the right folder or sub-folder and apply appropriate filters to the file. Importing is easy, effective and systematic way to consolidate Outlook PST file's data, but can become trouble makers or even has founded as the common facet behind the PST file error and data loss. Choose the alternative approaches to merge PST files in Microsoft Outlook.